Directions to Cal State L.A. NOTE: The Los Angeles Marathon is being held on Sunday, March 15. Due to this event, we could not secure a hotel discount in the Downtown Los Angeles area. If you are interested in staying in the Downtown Los Angeles area, you are encouraged to book your room early! 180 North Fair Oaks Ave. There are several ways to get to Cal State L.A. via public transportation. Cal State L.A. is the only University in Southern California with a Metrolink station located adjacent to campus. There are also several bus lines that serve the Cal State L.A. campus, operated by both the Metropolitan Transportation Authority (Metro) and Foothill Transit. 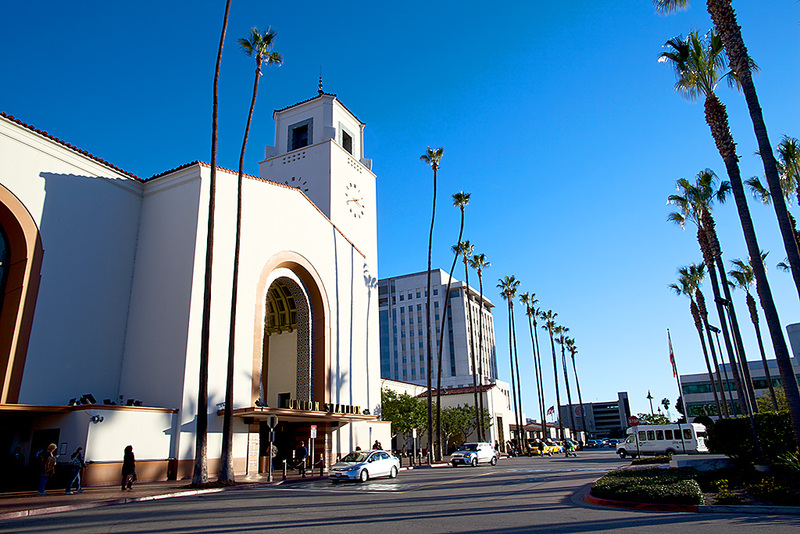 Los Angeles Union Station is just 8 minutes (2 stops) via buses on the El Monte Busway, or 5 miles by car. Union Station is also one stop away on the San Bernardino Metrolink line. For additional information, please visit our Transportation Services page.